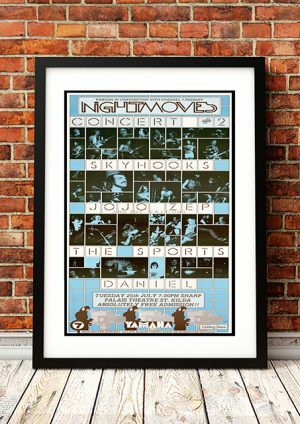 Classic Sports Band Concert Posters and Memorabilia! Buy Online Now! 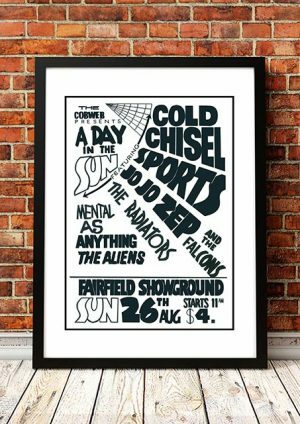 Formed in Melbourne, Australia in 1976, the Sports featured Steve Cummings (lead vocals) Martin Armiger (guitar), Andrew Pendlebury (guitar), Jim Niven (keyboards/vocals), Robert Glover (bass) and Paul Hutchins (drums). 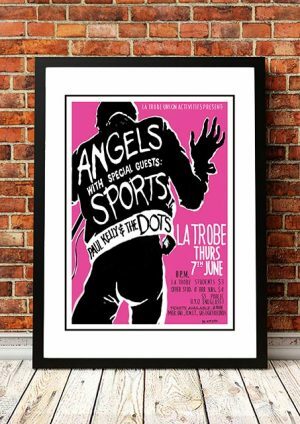 Influenced by rock, rockabilly, country and new wave, the band recorded several exquisite pop songs in the new wave style which charted well, particularly in Melbourne. National success followed but as the original members left the band had less impact. 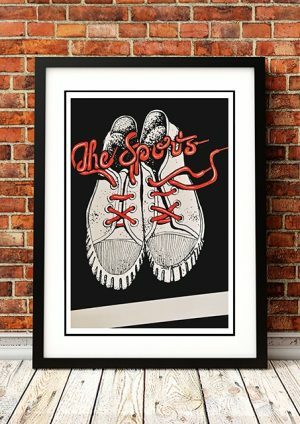 After supporting Graham Parker on his tour of Australia during 1978, the Sports were invited to tour with him in Europe and England. Records were released but did not make a big impact in either Europe or the States. They undertook several large tours around Australia, released several more singles and the fourth album, but were no longer progressing. Personnel upheavals during the early 80s, saw Hutchins replaced in turn by Ian McLennan then Freddie Strauks (ex-Skyhooks). The Sports eventually broke-up at the end of 1981. After they disbanded Cummings ventured into a solo career, occasionally collaborating with Pendlebury who has also recorded three instrumental guitar albums. Armiger moved into production in television and stage as well as rock music. We stock some awesome The Sports Band Concert Posters.